If you have serious liver disease, such as either alcoholic liver disease or hepatitis B or C and need surgery unrelated to the liver, things can get complicated. The decision to proceed with surgery in this scenario is not taken lightly. Your physicians need to consider several factors when determining your operative risk and whether you will experience serious complications or death due to surgery. More specifically, in those whose liver function is already compromised by either acute or chronic illness, surgery may tip the scales in favor of liver decompensation, or worsening of liver disease, liver failure, and death. Therefore, surgery must be carefully considered if you have liver disease. Let’s take a look at the various factors that hospitalists, surgeons, hepatologists (liver specialists) and various other members of the healthcare team consider before determining whether a person with liver disease is a candidate for surgery. How a surgical candidate looks, or one’s clinical presentation before surgery is an important part of assessing surgical risk in those with liver disease. In people with cirrhosis, many of the following signs occur secondary to portal hypertension and indicate a poorer prognosis and suggest decompensated cirrhosis. Many people with cirrhosis experience changes in sleep patterns. These changes have classically been attributed to hepatic encephalopathy and impaired hepatic melatonin metabolism; however, we have yet to elucidate the exact pathophysiology of these sleep disturbances. People with acute hepatitis or decompensated cirrhosis, as well as acute liver failure, shouldn’t undergo surgery. This makes sense because you don’t want the patient to have severely impaired liver functioning at the time of surgery. In general, the presence of cirrhosis adversely influences surgical outcomes. Better candidates for surgery include people with chronic hepatitis and without decompensated liver function. With respect to elective surgery, cirrhosis and acute hepatitis are definite reasons to avoid surgery. If you have serious liver disease, you should avoid surgery when possible. Three different evidence-based scoring methods are used to make the process of determining whether a person with liver disease is a good candidate for surgery: the Child-Pugh score, the Model for End-Stage Liver Disease (MELD) score and measurement of hepatic venous pressure gradient (HVPG). Of note, the HVPG is used only at big academic medical centers and isn’t available everywhere. Nevertheless, it is remarkably good at predicting prognosis or clinical outcomes. Probably the most serious thing that can happen during surgery in those with liver disease is decreased flow of oxygenated blood to the liver. This decreased blood flow leads to hepatic ischemia and necrosis (death of liver cells), which can lead to liver decompensation or failure, as well as release of inflammatory mediators that can trigger failure of multiple organs. Typically, arteries provide oxygenated blood to organs. However, in the liver, supply of oxygenated blood comes from both the hepatic artery and portal vein. In fact, the portal vein supplies most of the oxygenated blood in the majority of people. During surgery, blood pressure and cardiac output drops. These drops reduce the flow of oxygenated blood to the liver. Typically, the hepatic artery dilates or expands to pick up the slack and compensate for decreased flow of oxygenated blood to the liver through the portal vein. However, in people with cirrhosis, chronic changes in the liver architecture, such as fibrosis and nodularity, mess with the ability of the hepatic artery to dilate and increase the flow of oxygenated blood to the liver. Additionally, anesthetics also interfere with the compensatory dilation of the hepatic artery thus compounding the problem. In other words, people with cirrhosis have trouble compensating for drops in blood flow to the liver, which is caused by surgery and anesthesia as well as altered liver architecture. Without adequate flow of oxygenated blood to the liver during surgery, a person can experience severe liver damage and failure. Before a person with liver disease is operated on, it’s important to consider whether the specific type of surgery performed will place the person at even a greater risk for complications. During abdominal surgery (think laparotomy), any direct contact with the liver blood vessels can cause further trauma and liver damage. Moreover, poking around these blood vessels can further reduce blood flow to the liver during surgery. People with serious liver disease, like cirrhosis, who need emergency surgery on account of a circulatory insult, such as sepsis or trauma, are at high risk of dying after the procedure. Cardiovascular surgery further interferes with blood flow to the liver and exacerbates the problem. Additionally, pressors (medications given to increase blood pressure during the perioperative period) and cardiopulmonary bypass may worsen liver injury. As previously mentioned, anesthetics can also reduce blood pressure and blood flow to the liver and further contribute to liver damage. Moreover, in people with liver disease, anesthetics may stick around longer and not get metabolized as easily thus resulting in a longer duration of action. First, if your liver enzymes are merely elevated but your liver disease is otherwise controlled, you may be a good candidate for surgery. Second, if you have chronic hepatitis with relatively good liver function, you may still be a good candidate for surgery. Third, if you have alcoholic hepatitis and have quit drinking for some time and have no flare-up in disease, you may be a good surgical candidate. Please keep in mind that just because you have cirrhosis doesn’t mean you can’t have surgery. However, the presence of cirrhosis definitely affects outcomes and thus shouldn’t be decompensated at the time of surgery (think jaundice, ascites, gastrointestinal, or variceal, bleeding and so forth). If you have acute hepatitis or decompensated cirrhosis, surgery is likely a bad idea. 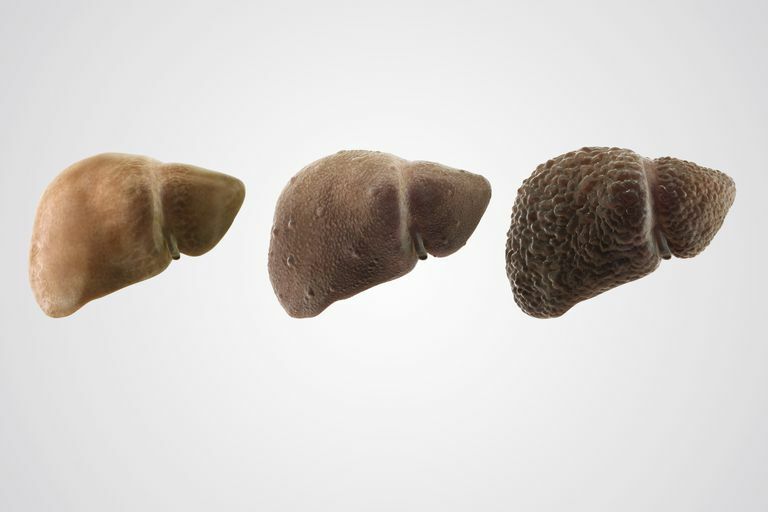 It’s best to think of the liver in people with serious liver disease like hepatitis or cirrhosis as a sleeping giant. Essentially, surgeons are operating around a sleeping giant, and flare-ups or inhibited liver function secondary to decompensated cirrhosis make this sleeping giant very restless. The consequences of surgery in those with liver disease can get pretty serious. Some people experience liver failure and die after such surgery. Thus, the recommendation to perform surgery in people with liver disease is carefully considered by your healthcare team. Furthermore, as a patient, you must also provide informed consent, or agree to the procedure. You should be asked to provide informed consent only after your physician and healthcare team have completely described the risks, benefits, ​and consequences of the procedure. Remember that having surgery is also a decision that you make. Bacon BR. Cirrhosis and Its Complications. In: Kasper D, Fauci A, Hauser S, Longo D, Jameson J, Loscalzo J. eds. Harrison's Principles of Internal Medicine, 19e. New York, NY: McGraw-Hill; 2015. The Editors. The Practice of Medicine. In: Kasper D, Fauci A, Hauser S, Longo D, Jameson J, Loscalzo J. eds. Harrison's Principles of Internal Medicine, 19e. New York, NY: McGraw-Hill; 2015. Montagnese S, De Pitta C, De Rui M, et al. Sleep-Wake Abnormalities in Patients With Cirrhosis. Hepatology. 2014;59(2):705-712. Qamar AA, Grace ND. Chapter 53. Preoperative Evaluation of Liver Disease. In: McKean SC, Ross JJ, Dressler DD, Brotman DJ, Ginsberg JS. eds. Principles and Practice of Hospital Medicine. New York, NY: McGraw-Hill; 2012.